PI Sabharwal gave the keynote talk at Globecom 2017 Workshop on full-duplex. PI Sabharwal gave an invited on CPLink at National Chiao-Tung University, Taiwan in Summer 2018. Multiple graduate students were given internship opportunities during Summer 2018; Peshal Nayak at Apple, Inc, Jian Ding at Microsoft Research, and Xu Du at Facebook Research. PI Shroff has given keynote addresses at ACM Mobihoc 2015 and a plenary at ICNC. PI Shroff arranged and moderated a panel on full duplex communications at Mobihoc 2014 (where PI Sabharwal was also a panelist) and also gave a series of lectures 2014 Lipari School on “Network Analysis, Design and Optimization”, in July in Italy, where a part of the research outcomes in this project were discussed. PI Shroff also recently gave a keynote at WOCC 2018 and an invited distinguished talk at WiOPT. 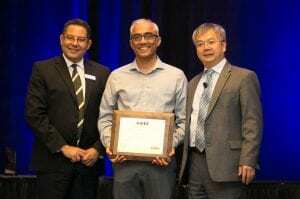 PI Sabharwal and his co-authors were awarded Communications Theory Advances Award for their paper “Experiment-Driven Characterization of Full-duplex Wireless Systems,” IEEE Transactions on Wireless Communications, Vol. 11, No. 12, pp. 4296-4307, December 2012 (Awarded to a paper published in last 15 years in any of the communications theory venues, like ACM Test-of-time award). 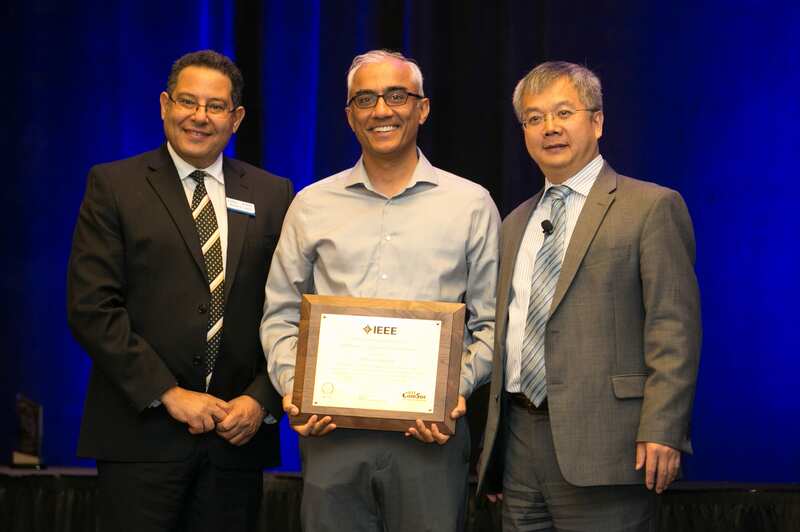 PI Sabharwal and his co-authors was awarded Jack Neubauer Memorial Award for their paper “A Design and Characterization of a Full-Duplex Multiantenna System for WiFi Networks,” IEEE Transactions on Vehicular Technology, March 2014 (Best Systems Paper in last 5 years). PI Knightly gave the Keynote Address at IEEE INFOCOM in May 2017, titled “Scaling Wireless for Next Generation Transformative Applications“. PI Diggavi visited PI Shroff at OSU in June 2017 and initiated collaboration involving scheduling problems with multiple full-duplex antennas. PI Sabharwal has multiple days of collaborative meetings with PI Diggavi at IPAM workshop, February 2017. This was in addition to five additional visits to UCLA by PI Sabharwal during 2016-17. These meetings allowed for hands-on discussions and collaborations with co-advised students and directly led to multiple publications on full-duplex topics. PI Sabharwal was General co-chair of COMSNETS 2017, Bangalore, one of the premier conferences on communications and networking held in India. PI Sabharwal gave an invited talk on massive MIMO full-duplex at National Chiao Tung University, Hsinchu. Slide-deck is now available at Massive-MIMO-Full-duplex. The talk discusses results presented in journal papers with Evan Everett as the lead author [J9, J20]. PI Sabharwal gave invited talks on theory and methods for massive MIMO full-duplex at SMU (March 2016), Samsung (March 2016) and Intel Labs (May 2016). OSU PI Shroff was general chair of WiOPT 2016, where research on multi-antenna technologies and full duplex were actively discussed. Co-PI Knightly’s graduate student, Yasaman GhasemPour has received an opportunity for training with a 2016 internship at NEC Laboratories. PI Sabharwal gave invited talks on theory and methods for massive MIMO full-duplex at Stanford (September 2015), Intel Labs (Sept 2015), IIT Madras (October 2015), UCSD (Nov 2015), Qualcomm (Dec 2015). PI Diggavi gave an invited talk at the Indian Insitute of Science, Bangalore, on topics related to this project, 2015. PI Diggavi and Graduate Student Can Karakus visited Intel in November 2015, and gave talks on 5G wireless and D2D cooperation. PI Sabharwal, PI Diggavi, and PostDoc John Tadrous were invited to present as part of Intel Corporation’s 5G workshop on September 24-25th 2015. PI Sabharwal gave a keynote at WinMee, a WiOpt Workshop held in IIT Bombay in Mumbai, India, 2015. The topic of the presentation was Massive MIMO Full-duplex: Theory and Experiments. PI Sabharwal spent Fall 2015 on sabbatical at UCLA. PI Sabharwal was the lead guest editor of a special issue on full-duplex wireless in IEEE Journal on Special Areas in Communications, October 2014. PI Sabharwal was the lead author on the review article In-band Full-duplex Wireless: Challenges and Opportunities, that appeared in October 2014 special IEEE JSAC issue on full-duplex wireless. The article provided a comprehensive review of the techniques in the literature and laid a roadmap for future research directions. PI Sabharwal attended the Radio Frequency Integrated Circuits (RFIC) conference in Tampa, FL, for an invited talk on Design Tradeoff in Full-duplex Wireless. PI Diggavi gave a plenary lecture at the Workshop on Information Theory, Random Matices, and Applications in Lausanne on September, 2014, titled Harnessing bursty sournces and resources for interference management. PI Knightly presented a keynote, WiFi in sub-GHz Bands: Research Advances and Global Trials, at IEEE LatinCom, Cartagena, Colombia, November 2014. PIs Sabharwal and Diggavi have been collaborating closely, in a collaboration that includes two Rice students, Achaleshwar Sahai (PhD 2014) and Jingwen Bai, and UCLA student, Can Karakus. This collaboration has led to several joint publications. PI Shroff taught in J. T. Schwartz International School for Scientific Research on Network Analysis, Design, and Optimization, in the Lipari Island, Italy from July 7 to July 12, 2014.The Summer school will be attended by a large number of early stage graduate students, interested in wireless networking. Fundamentals of full-duplex will be a component of the course material. PI Sabharwal taught at Microsoft India Summer School, June 2014. The Summer school will attended by ~100 early stage graduate students, interested in wireless networking. Fundamentals of full-duplex will be a component of the course material. PI Shroff will be giving a 2 hour Distinguished Lecturer at the International Conference on Computing, Networking and Communications on Wireless Network Analysis and Control. The symposia will focus on developing the analytical foundations of network analysis and control, and full duplex will be part of this lecture. PI Shroff arranged and moderated a panel on full duplex communications at Mobihoc 2014. PI Sabharwal was a panelist. PI Diggavi, PI Sabharwal and PI Zhong received an Intel-Verizon grant to research on 5G networks, which complements the current NSF grant. PI Diggavi delivered a plenary talk on “On managing bursty interference with feedback” at IEEE Information Theory Workshop, Seville, Spain, September 2013. PI Sabharwal is the lead AE for a special JSAC issue on Full-duplex Wireless Communications and Networks, 2013. Wooyeol Choi, who visited the Rice research group in 2014, has joined as a faculty member in Chosun University, South Korea. He co-authored two papers with PI Sabharwal ([J15,J31]). PI Shroff’s senior PostDoc, Yin Sun, will start as a faculty member at Auburn University in Fall 2017. PI Sabharwal’s graduate student, Xu Du, is interning at Google, Inc. for Summer 2017. Xu is co-Advised by PI Shroff. PI Knightly’s graduate student, Jonghun Park, is interning at Bell Labs for Summer 2017. Rice undergraduate researcher, June Chen, wins honorable mention from CRA [December]. Rice undergraduate researcher, June Chen, presented two papers at Asilomar Conference on Signals, Systems and Computers. She was first author on one of them, with PI Sabharwal as co-author [November]. PI Zhong’s graduate student, Clayton Shepherd (co-advised by PI Sabharwal and PI Knightly) presented his research at the 2016 Asilomar Conference on Signals, Systems and Computers. PI Sabharwal’s PostDoc Tadrous has completed his Postdoctoral training and has obtained a tenure-track position at Gonzaga University. He will begin in the Fall 2016 semester. PI Sabharwal’s PostDoc John Tadrous disseminated research results at 14th International Symposium on Modeling and Optimization in Mobile, Ad Hoc and Wireless Networks (WiOpt 2016) in May, 2016. Graduate Students Andrew Kwong and Xing Zhang attended the 2015 Conference on Signals, Systems, and Computers (Asilomar), where they presented Overcoming Conjugate Beamforming Limitations with Side-Channel Cooperative Decoders and Angle of arrival based beamforming schemes for massive MIMO FDD systems. UCLA Graduate Student Can Karakus completed a summer 2015 internship at Qualcomm Corporate R&D and earned the prestigious Roberto Padovani Award for his summer work. PostDoc John Tadrous was invited to participate in the NeTS Early Career Workshop in July, 2015, where he presented research conducted as part of this project. Graduate Student Xu Du and PostDoc Tadrous attended the 16th IEEE International Workshop on Signal Processing Advances in Wireless Communications (SPAWC 2015), held in Stockholm, Sweden, where they presented on MU-MIMO Beamforming with Full-duplex Open-loop Training. Post-doc Tadrous and graduate student Xu attended the 2014 Asilomar Conference on Signals, Systems, and Computers in November 2014, to present their paper MIMO broadcast channel with continuous feedback using full-duplex radios. Graduate student Evan Everett attended the IEEE International Symposium on Information Theory in Honolulu, HI, 2014, to present his research A signal-space analysis of spatial self-interference isolation for full-duplex wireless. Several Rice students advised by PI Sabharwal, through work on this project, have obtained summer internships at Intel Wireless Research Labs (Jingwen Bai and Xing Zheng 2015), and NASA (Evan Everett, 2014). They have also made presentations at Intel Research Labs (John Tadrous, 2016; Evan Everett, Xing Zheng and Jingwen, 2015). Graduate student Sharan Naribole has received an internship to AT&T Research Labs and Xu Zhang has an internship at Cisco, both advised by Edward Knightly. The students will receive training on network performance improvement from industry perspective. Clay Shephard, Evan Everett, PI Sabharwal and PI Zhong were invited to present the Argos demo at Xilinx 30th Anniversary ETS Conference. The demo was developed in collaboration with Mango Communications. We were one of the 11 universities selected from worldwide university partners. See details of the visit at WARP website. The team has submitted an article to Xilinx XCell Magazine to explain the technical details of the demo. Evan Everett did a summer internship at NASA, which led to SoftNull experiments on massive MIMO full-duplex. The datasets are now posted in the Dataset section. Wooyeol Choi from GIST (advisor: Hyuk Lim, GIST) is visiting Rice to work on full-duplex protocols for 6 months (Jan – July 2014). Jingwen Bai (advisor: PI Sabharwal) visited UCLA for a week to discuss information-theoretic formulation of several full-duplex related problems. Discussions were joined by Can Karakus. OSU student Yang Yang (advisor: PI Shroff) visited Rice (Sept 2013) for an invited talk and 3-days of extensive collaborative discussions. The meetings were joined by Rice students Evan Everett and Jingwen Bai.